Bullying is something no parent wants to know is happening to their child – and similarly – no parent wants to be informed that their child is participating in the act of bullying another child. It is important to remember that a lot of children at school undergo sustained periods of bullying and are afraid to tell either their teachers or their parents for fear that the bullying will intensify. Indeed it is not unknown for children to attempt self-harm as a means of escaping these sustained periods of bullying. Every parent likes to think they know their child’s moods and characteristics but it has been proven that the results of bullying can have a marked effect of your child’s behaviour and also have a marked effect on their ability to learn and concentrate within the school area. 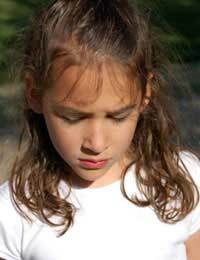 These all may sound like very obvious signs of bullying but it has been well documented that children suffering the effects of bullying tend to try and disguise them in order to detract attention from those bullying them. The first – and ultimately – most important thing to do should you suspect your child is being bullied is to keep calm. This may sound rather contrived, especially given that no parent likes to think of their child coming to any harm, but it does pay dividends to keep a level head at all times. One should not be frightened of course to broach the subject with your child but the trick is to do it in such a way that you are not the one doing the bullying. Sitting your child down in a relaxed and calm atmosphere and simply talking to them can have a greater effect than shouting and demanding to know what is going on. Discuss your thoughts with your child and may well find that your child will open up to you willingly and tell you what the problem is. Again it has been documented that many children are frightened to discuss the issue of bullying with their parents for fear that their parents will be angry with them for allowing it to happen. It is also important to remember that bullying can be as much psychological as physical. Some bullies operate a sustained campaign of verbal abuse and indeed in today's age of modern technology, bullying can actually be carried out via mobile telephone and the Internet; a notion that many parents find difficult to come to terms with. You may not see any physical bruises or cuts to your child but that does not mean that the bullying is not taking place. For example, are they unusually hungry when they come home from school – some bullies demand lunch money or even free school dinner tickets – are they going straight to their room? Are they suddenly unwilling to participate in family events or events with friends, which involve going out? These are also signs that something might be amiss. It may initially be a good idea to contact your school’s head teacher and discuss the matter. In the first instance if you are in any doubt as to whether your child is being bullied, contact the school by telephone. Your child’s school should be on the ball when it comes to the bullying of any of its pupils and indeed all schools now have specific anti-bullying policies in place. It is again documented that bullies who see the parents of their victim visit the school intensify their bullying campaign in order to stop their victims giving their names. Also if your child does tell you the name of the person or persons responsible do not attempt to visit the homes of these children yourself, this will only inflame matters and make it harder to stop the bullying. But most important of all is the need to tread carefully when discussing these issues with your child. Don’t try and brow beat them into giving you the information, this will only cause them to remain tight-lipped and withdraw more into themselves. Let your child know that you are on their side and take the time to listen and understand their thoughts and feelings. Bullying is a very traumatic experience and has been proven to lead to various medial and psychological conditions so exercising caution and discretion is a must. @bro, is there nobody at school you can talk to in confidence? Maybe a teacher or teaching assistant? What about your parents or siblings? I have been bullied and need someone to talk to. I was hoping for something to suggest what to do after the problem isnt resolved by talking to the school.How long do you wait and then what? ?School say they don't have a bullying problem.But the bruises prove otherwise.